A 2007 graduate takes a break from her work as a United Nations consultant to feed and care for refugees. Ashley Anderson stood on the rocky shore of the Greek island of Lesvos, peering toward the horizon in the predawn light, when she first caught sight of a boat. As the crowded vessel drew closer to land, she heard the refugees on board shouting and cheering with joy. At that moment, the boat hit a jagged rock underwater, and the jubilant scene turned to chaos. 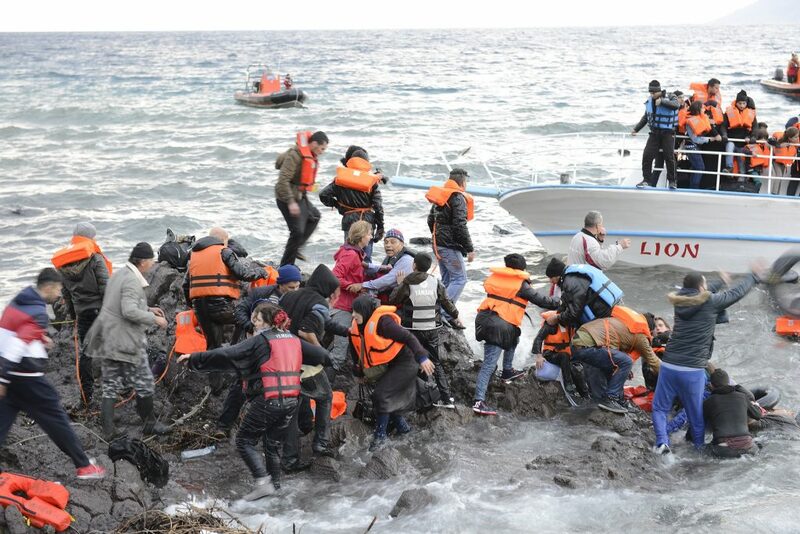 The vessel crumbled and began to sink, tossing its 150 occupants into the sea. Ashley and three other volunteers plunged in, fully clothed, scrambling to rescue the babies and children first. More than once, she was pulled underwater by panicking victims and nearly drowned – but in the end, to the rescuers’ amazement, every one of the Syrian refugees on the boat survived. 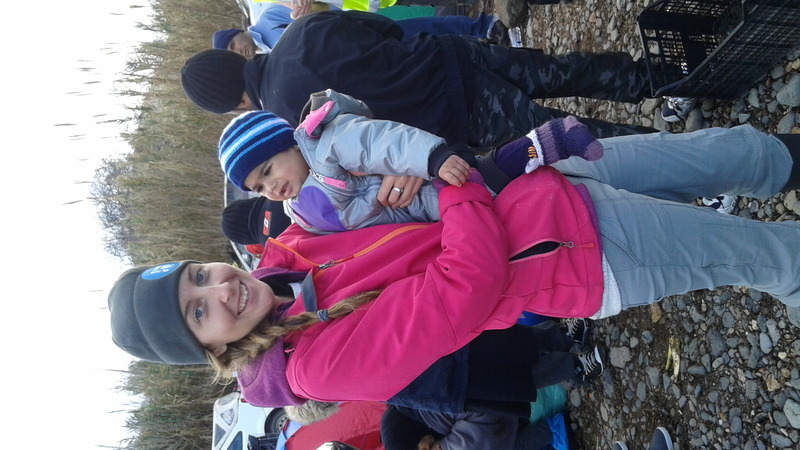 That harrowing experience last December culminated the YSU graduate’s four-month mission as a humanitarian first-responder in Greece. Working with other volunteers from around the world, Anderson helped to rescue, clothe and feed literally thousands of desperate people who had been forced to flee war and violence in their home countries of Syria, Afghanistan, Iraq, Ethiopia and Somalia, often with no more than the clothes on their backs. “What I’ve learned, what I want others to know, is that these people are just like you and me, they’re running from things that any of us would run from, and one person really can make a difference,” said Anderson. Anderson completed her YSU undergraduate degree in 2007, and then took a caseworker position with Trumbull County Children’s Services, banking most of her salary. After a little over a year, she left her job to volunteer for the Childline India Foundation, a nonprofit agency working with homeless children on the streets of India ­– by then she had stashed away enough cash to live for awhile without a paycheck. Over time, Anderson realized that she needed more education to fulfill her goals. She went on to complete an intensive Spanish language training in Argentina, earned a master’s degree in Public Administration with a focus on human rights from the Monterey Institute of International Studies in California and an additional MIIS Certificate in Project Management at the American University of Cairo. Her break into the UN came in the last year of her graduate studies, when she traveled to Malawi, Africa, and then to Geneva, Switzerland, to complete research for her master’s thesis. She accepted an invitation to complete an internship there with the UN’s International Labour Organization and then was offered a position as an ILO consultant working to protect the rights of migrant workers and victims of forced labor and human trafficking. In her two and a half years with the UN in Geneva, Anderson became painfully aware of the refugee crisis developing in Greece, where thousands of desperate people were crossing the Mediterranean daily, risking their lives to escape from ISIS, war and other violence. Knowing that few humanitarian relief agencies had established operations there yet, Anderson decided she had to go. UN consultants are independent contractors, with assignments that typically range from three months to a year, she explained. 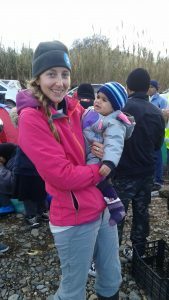 In August 2015, she left Geneva for Lesvos, Greece to become an independent humanitarian first responder for the crisis that was unfolding there. In her four months on the island, Anderson and two fellow volunteers made international news when they helped to reunite an Iraqi refugee family with its lost pet cat, Kunkush, through a social media campaign. When The Guardian, a British newspaper, picked up the story, it went global, and a Japanese television program called “Unbelievable” even flew reporters out to interview Anderson and the refugee family, now settled in Norway. But the boat rescue in December traumatized her. She soon realized that, after many weeks of rescuing and caring for desperate refugee families, she needed a break herself. Anderson remains on the UN’s consultant list and expects to return to her work there soon, but for now she’s “on sabbatical” living in Peru – a country she likes because of the low cost of living and laid-back lifestyle. Not surprisingly, she has not been idle. She’s creating a website that would allow artisans around the world to support themselves by selling their goods online globally, with no middleman. Eventually, she hopes the site will help her raise funds for other humanitarian causes and will additionally provide a source of income for refugees like the ones she worked with in Lesvos.